Anyhoo…I thought I’d take a peek at the PaperMichelle shop, and boy did I find some gems, perfect for you little love birds out there. All of Michelle’s cards are intricately hand-cut…no die cutters around here! Delightful aren’t they? I hope you’ll take a moment to visit her shop, PaperMichelle.etsy.com and show her some love. Photos courtesy of PaperMichelle may not be reproduced without permission of the artista herself. 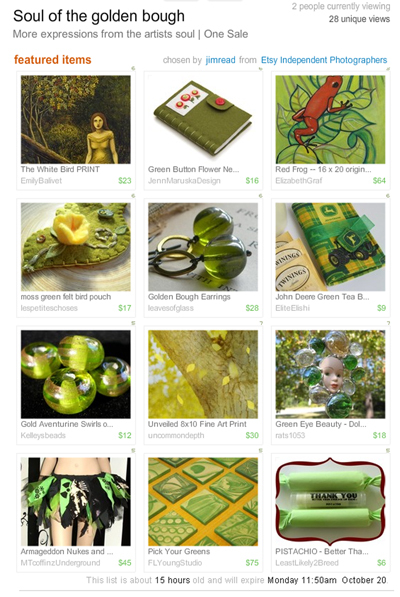 Special thanks to Jody from ThePoint for including my little lemon in her Etsy Treasury. Quite refreshing for the dead of winter, right? To find out more about these lovely gems, CLICK! 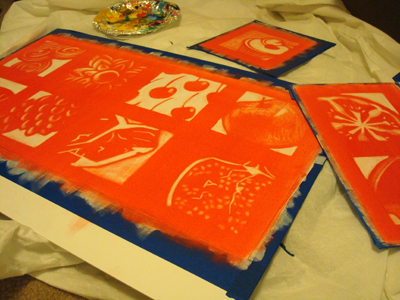 In other exciting news, I bought the Epson! I can’t wait to get my hands on it…looks like it’s set to arrive on Monday…oh it will be like Christmas! Thanks to all of you who helped steer me in that direction. I love to spend my mornings perusing around etsy. It’s a great way to get inspired, and a fabulous community to be a part of. It’s even better to wake up and find your work has been included in a treasury. Special thanks to Michelle of Flamingaux for including my “I’ll Take Three, Martini” print in her collection. 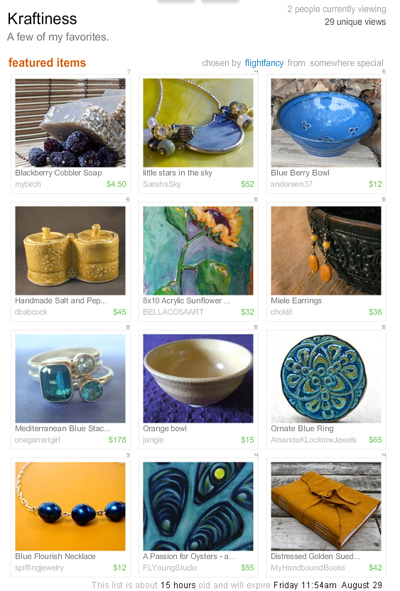 For more information on the items found in this treasury…CLICK! Oh and don’t forget, there’s still a few days to shop The Produce Stand…place your orders now to ensure delivery by Christmas! 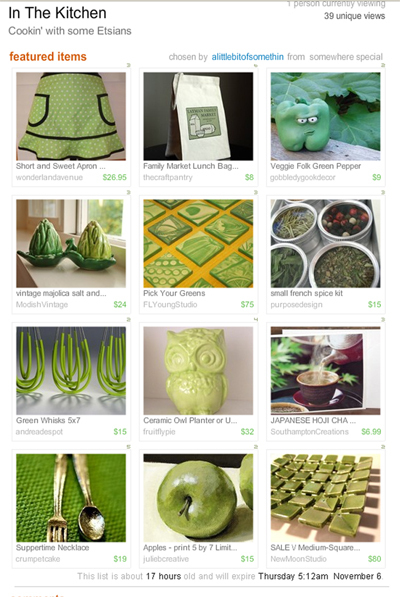 Oh yeah, and special thanks to Liz of A Little Bit of Somethin’ for including my Greens in the kitchy treasury below..
Want more information on the lovely treasures featured here? Click! Whew! I think that’s it for now…have a lovely day, and don’t forget to vote! Reminding you to EAT YOUR GREENS! Lovely right? 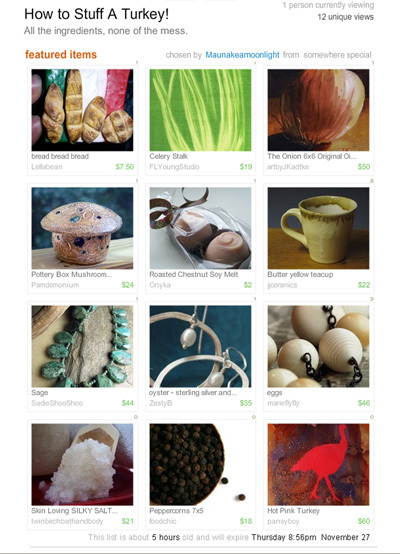 Take a moment to find out more about the items in this treasury, and the man who created them. Happy Saturday and thanks for reading! Special thanks to Flight Fancy and her keen eye for including my oysters in such a lovely display.